The trouble with the internet is “there is always someone wrong on it”. This weekend proved no exception as an article posted ( I wont even give it the credibility of a link to it ) by a ICT Teacher who I think might have been trying to make a comment about the new Raspberry Pi and resolved his argument by suggesting that adding programming to the curriculum would be a bad idea; he was wrong. I do hear the argument and it is repeated often and by people who themselves as kids were not really programmers or interested in programming. 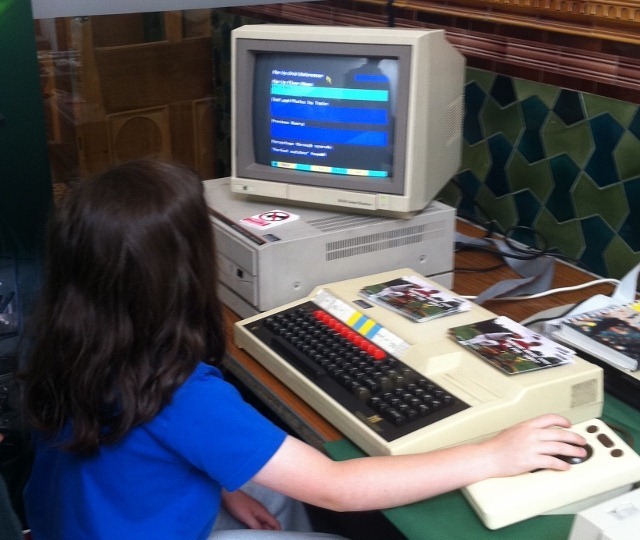 As a child in school I was lucky enough to be of the era that the BBC was focussed on its computer literacy programme. 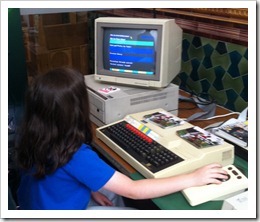 BBC Micros were flourishing in every classroom and we had the chance to learn about programming. Luckily especially for me because I demonstrated an aptitude for working with computers and programming languages; there was finally something at school at which I excelled. I was not brilliant at maths I was average in English and poor in science. I hated sports and I could not play a musical instrument but I could sit in front of a computer and write a program. Incidentally at the time of leaving school it was believed then ( and still is today in some less educated establishments ) that you needed an A Level in Maths and Science in order to get onto a University course for computing or even to find a job in programming. I was not the only one at that time and I suspect that we have missed the opportunities many times over since then for us to find new programmers and open them up to their skillsets. This topic makes me angry if only because when we discuss how to implement it; various ‘shortcuts’ are suggested such as ‘pseudo code’ or ‘framework codes’ to teach kids the idea of programming. More often than not these do not actually teach anything practical or valuable in terms of seeing, doing and understanding they present routines to complete and then move on. What I want to see is real world programming using languages like Java, Javscript or PHP and these courses can begin by teach the three basic elements in programming. That right there thats programming calling functions ; routines or objects is another layer and debugging and optimisation are features you learn. We can teach this to kids and we can allow them to use simple texteditors trialling their code in a browser debugging as they go. Programming has very little barrier to entry today. But if we are not going to do this because of the reasons listed above then I suggest we put an end to sports, music , arts and crafts and anything outside of Reading and Writing. See I am so angry I can barely post straight on this topic. At Raspberry Pi, we’ve had lots of really great, enthusiastic feedback from ICT teachers, some of whom are looking at creating materials for the device and sharing them, and who are really excited about rolling it out into schools. Unfortunately, we’ve also had lots of feedback like the blog post you’re responding to. I worry about how we’re going to overcome it, because one teacher with a negative approach means a whole school full of kids who don’t get to explore programming. My sense at this stage in development is that we’re scaring a lot of the non-programming ICT teachers (and there are a hell of a lot of them) by showing photos of a naked green board bristling with headers, mystery microchips and capacitors; perhaps things will improve when we have it boxed and a little less scary-looking. We want kids to be hacking the hardware too, so that case will be removable. Linux also bothers a number of people. They’ve heard it’s different from Windows, and they think they won’t be able to use it. It is different from Windows: it’s free. We’d like to help schools and clubs break away from the necessity to pay the Windows licence fees, and we’ll be providing builds with Open Office so that spreadsheets, word processing and so on can still be taught. The curriculum has to take a lot of the blame here. ICT can be taught by anybody; you don’t need any previous experience of any kind of computing, let along programming. It’s a hangover from the late 1990s, when kids were unlikely to be familiar with the internet and it was becoming clear to the Department of Education that they’d need to be able to use it and to do office jobs with Microsoft tools; its emphasis is on creating content (Week 13: learn about mood boards) and using Office software. So in many cases, teachers who don’t have an interest in or knowledge of what we would consider computing are in charge of a department which *should* encompass much more than learning about online shopping and how to use Excel, but probably won’t any time soon. There’s a new Computing GCSE on offer as of last year, which is much more intellectually challenging, but the issue here is finding teachers who are qualified to teach it; it’s not accessible by a teacher who doesn’t have programming experience. You can read more about it on the TES forums. At the moment some teachers don’t like it because it’s difficult, and they’re finding that only top sets are doing well in it. At Raspberry Pi, we don’t expect every child out there to be enthused by computers. But we recognise that there are probably a few in every school who have the potential, and who aren’t being given the opportunity. That’s what we’re trying to address by making computers very small, and very cheap. One of the biggest obstacles is the parents/teachers themselves who are making the decision for the child without allowing them to experience it for themselves. “Oh my kid won’t like programming/chess/science (etc) it looks boring blahblahblah”. They must be combated! I hope that this project gives that oppurtunity to as many kids as possible, for myself its rekindling the sort of enthusiasm I had back in my childhood with my CPC464. Where tinkering, playing with basic et al was not only fun but educational too. An atmosphere that is sadly lacking these days. I’m just too old for the BBC Computers, but agree fully…. There are good products out there to teach programming, some of them free, that are aimed at very young ages. My children, at ages 6 and 9, were thrilled with the MIT product ‘Scratch’. Couldn’t agree more. What a shame! I was always one of those at school who was twiddling his thumbs in IT lessons as they taught us mundane, useless nonsense that many of us had learnt many years prior. Maths, Science and English had different tiers of class for students with more/less experience or aptitude. Why not the same in IT also? I haven’t been in a school for nearly 13 years, so I can’t say for sure how much has changed, but from what I’ve heard very little. Strange, when the technology we use now is so vastly different from what it was then, especially in terms of the web and programming. This must change.